Adaptogens: Are There Side Effects? One of the unfortunate truths of the human experience is the inability to avoid stress. As hard as we try, there will always be the occasional automobile mishap, last-minute project needed at work, or friend-related drama that seems to catch us off-guard. And while the occasional stressful moment that comes and goes can sometimes motivate us to try harder and produce better work, prolonged stressful situations can be detrimental to our health, sometimes causing cardiac disorders, high blood pressure, skin breakouts, dangerous cortisol levels, and nights without sleep. For me personally, stressful situations that arose in college (such as preparing for difficult midterms and papers, or rehearsing for class presentations) caused me to seek out legal pharmaceutical drugs that I thought would help me focus and be less stressed. However, over a long period of use, these drugs only made these stressful situations worse for me, which persisted until I found alternative, all-natural ways to deal with stress. Fortunately, along with daily personal focus and stress-reduction exercises, there are a number of natural plants and herbs that can help to reduce stress, increase focus and motivation, and even repair parts of the brain and body that have suffered from prolonged exposure to stress. These natural solutions are called adaptogens. Adaptogens were originally clinically-defined as substances that “enhance the ‘state of non-specific resistance’ in stress.” Originally coined by Russian scientist Israel Brekhman in 1947, these substances are meant to reduce cognitive fatigue, diminish the symptoms of depression, and reduce anxiety when performing stress-producing activities. They help the body adapt to these stressful situations by making it easier to balance your hormonal system, and help regulate bodily cells that might otherwise experience abnormalities in response to spikes in stress levels. By definition, adaptogens must be natural, herbal substances that help to normalize and regulate bodily systems, essentially helping to promote a level of homeostasis that resists biological stress. So, in contrast to pharmaceutically-engineered solutions such as Xanax and Valium, adaptogens are derived from plant matter – typically from leaves, roots, stems, and the flower parts. 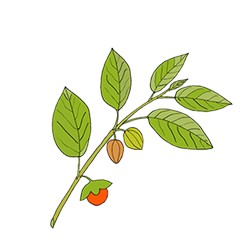 Ashwagandha, otherwise known as Withamnia Somnifera, is a common adaptogenic herb that is used by many to help treat insomnia, anxiety, bipolar disorder, and other conditions that effect sleep, focus, nervousness, and overall mood. According to WebMD, it is most commonly used to help the body cope with daily stress, while others enjoy its ability to decrease inflammation and improving focus. In controlled research settings, scientists were able to prove that Ashwagandha actually blocked the stress neural pathways in the brains of rats, thus regulating the nervous system’s chemical signals. Today, many people (myself included) enjoy mixing Ashwagandha root powder with hot water before bed and in the mornings for decreased stress, reductions in anxiety, and better sleep. 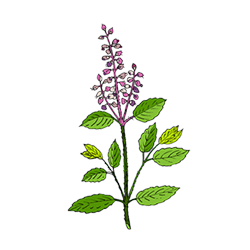 Holy Basil, or Tulsi, is a classic in traditional Ayurvedic medicine, and has been used for over 3,000 years. With regard to the plant’s effect on stress specifically, researchers found that Holy Basil was able to reduce spikes in cholesterol levels that commonly occur in response to stress induction, in addition to lowering elevation in lactate dehydrogenase and alkaline phosphatase. While some enjoy Tulsi tea steeped in hot water to release its many adaptogenic properties, others use it as an essential oil or even mixed into Asian cuisine. 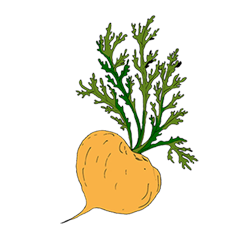 Maca is a root vegetable grown in Peru, and is widely known for its improvement on mood, helping to relieve symptoms of menopause, and even for increasing libido function and fertility. It has also been studied for the effects it has on anxiety, specifically for menopausal women. In several experimental settings, researchers found that powdered Maca significantly reduced symptoms of depression and anxiety for a group of randomized, double-blinded postmenopausal women. Interestingly enough, along with the benefits Maca provides for menopausal women, other studies have also proven that Red Maca has been found to reduce prostate size in rats (suggesting that it could reduce the risk of prostate cancer in aging men). Are There Any Side Effects of Adaptogens? Although many adaptogenic herbs produce remarkable results in reducing anxiety, others such as Ginseng could potentially cause increases in nervousness in certain individuals. 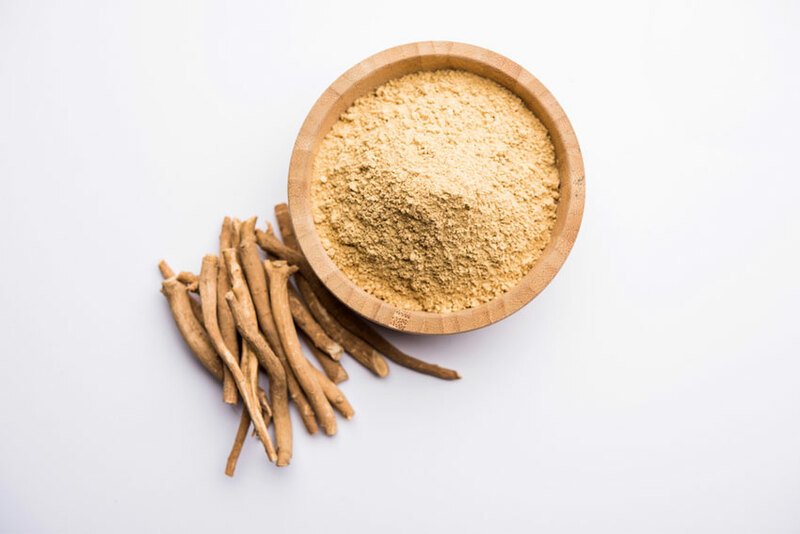 However, most studies indicate that for the vast majority of individuals consuming American Ginseng in proper doses, the herb will help to regulate the immune response changes due to stress, ultimately reducing the symptoms of anxiety. Adaptogenic herbs are generally enjoyed for their ability to reduce toxins in the blood, or helping to purify and provide detoxification to other parts of our bodies. However, it is known that each herb has a small amount of toxicity. For some people, herbs such as Ginseng have been known to cause diarrhea or upset stomach. Large doses of Ashwagandha have also been known to cause diarrhea, vomiting, and upset stomach. While some herbs may cause minor adverse side effects such as upset stomach or temporarily increased nervousness for some, when dealing with a pregnancy, you’re better off not risking it in the first place. One of the chemicals found in Panax Ginseng, a plant highly related to American Ginseng, has been linked to potential birth defects. Other adaptogenic herbs such as Holy Basil have been known to reduce the chance that a fertilized egg will attach to the uterus. Additionally, it is advised to avoid Ashwagandha during pregnancy as well. Any time you are consuming pharmaceuticals, either for short-term purposes or required to treat long-term conditions, it is always important to ask your doctor whether there might be potential drug interference between the herbs your taking and your prescribed medication. For example, RXList outlines that there are potential moderate interactions when taking certain drugs used for high blood pressure. Ginseng is also cited as having interactions with caffeine, estrogens, alcohol, and other common drugs and substances. For more information on potential drug interactions, check RXList’s free drug interaction tool online.